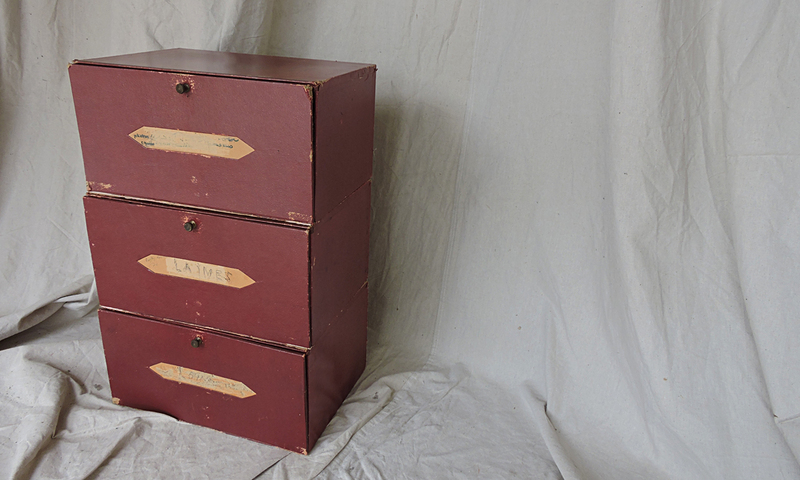 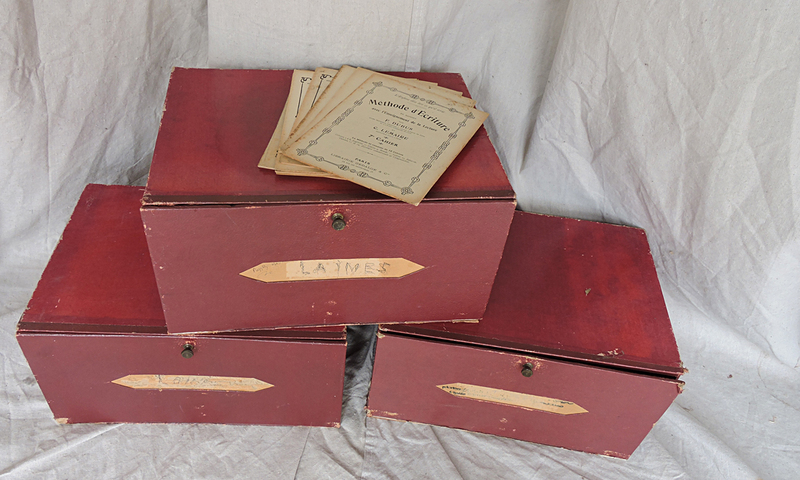 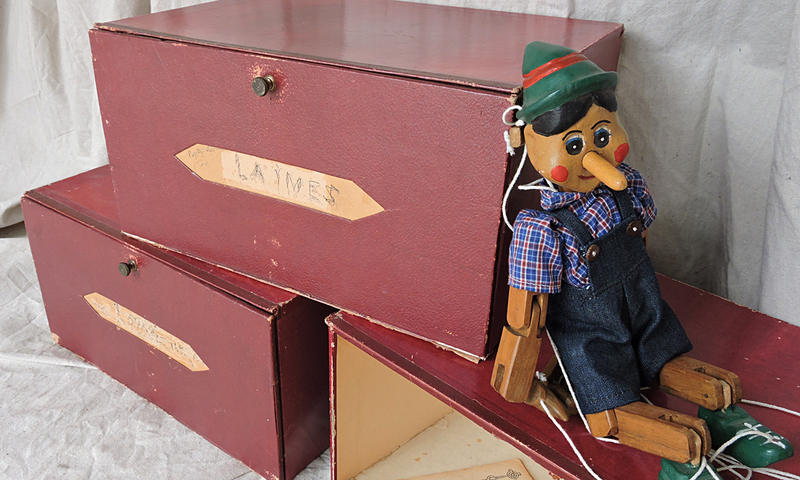 Circa 1920, original French Haberdashery boxes from a retail store. 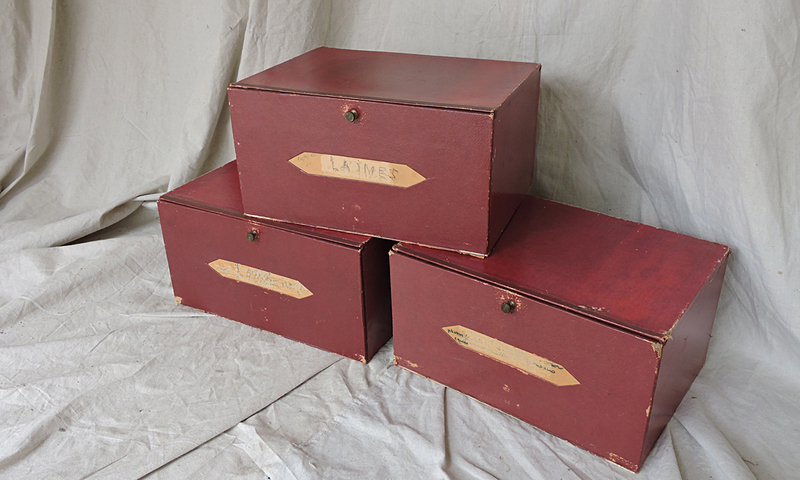 Card construction with original metal handles and original card labels. 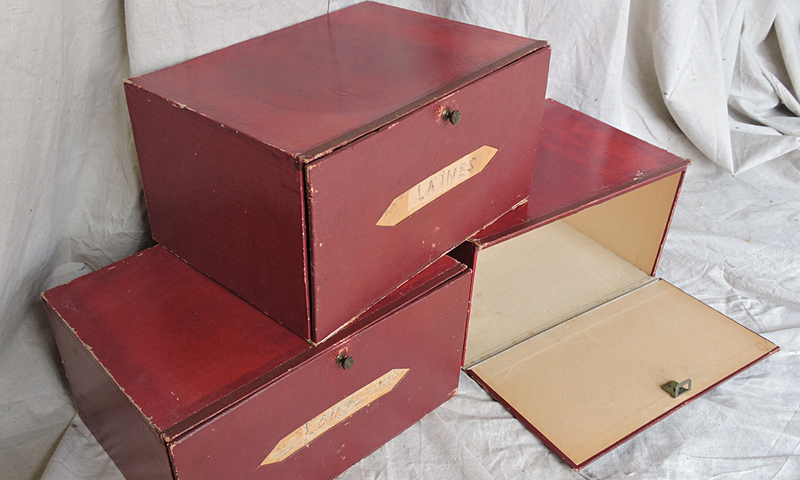 Great size and lovely colours, perfect for storage.